The Sydney Taylor Book Award honors new books for children and teens that exemplify the highest literary standards while authentically portraying the Jewish experience. The award memorializes Sydney Taylor, author of the classic All-of-a-Kind Family series. Presented by the Association of Jewish Libraries since 1968, the award encourages the publication and widespread use of quality Judaic literature. The winners will receive their awards at the Association of Jewish Libraries convention in Pasadena, California this June. 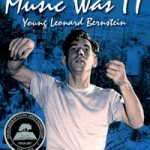 This year, the recipient of the gold medal in the Sydney Taylor Book Award’s Older Readers Category is Susan Goldman Rubin for Music Was It: Young Leonard Bernstein [a 2012 YALSA Excellence in Nonfiction for Young Adults finalist –ed. ], published by Charlesbridge Publishing. Music Was It shares the inspiring story of the young musician and his commitment to succeed in spite of his family’s opposition. Through hard work, determination and a spirit that never quit, Bernstein’s dream is realized as he takes the stage as a conductor at Carnegie Hall. 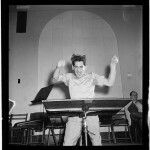 Numerous photos introduce readers to Bernstein and the important people in his life. In today’s fast-paced world of immediate gratification, young people think stardom and celebrity come easy and may undervalue the importance of education, experience, and perseverance. Bernstein’s early journey, filled with personal and professional disappointments as well as successes, underscores the notion that the road to success and fame is not easy or immediate. Goldman Rubin does an exquisite job of bringing Bernstein’s world to life and making his story relevant for today’s readers. Yes, times change and technology advances, but the passion of a creative soul is timeless. From a resource perspective, teachers and librarians will cheer the impeccable research and documentation provided. Robert Sharenow will receive the 2012 gold medal in the Sydney Taylor Book Award’s Teen Readers Category for The Berlin Boxing Club [a 2012 Best Books for Young Adults title –ed. ], published by Charlesbridge Publishing. 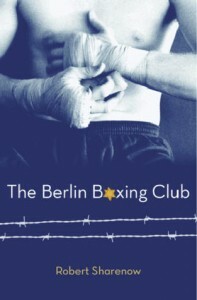 The Berlin Boxing Club reveals the history of Nazi Germany through the eyes of Karl Stern, a typical 14-year-old German boy. Karl never gave much thought to being Jewish and had little connection with any religious life. When classmates bully Karl, he is forced to face the dangers in his own community. Given the opportunity to learn boxing from German champion Max Schmeling, Karl jumps at the opportunity. He grows strong and learns to defend himself. But as the Nazis gain power and his family is in peril, Karl wonders who he can trust. Outstanding historical fiction will offer readers meaningful, unique insights into a specific time period. Karl’s experiences with his classmates who become active members of the Nazi Youth illustrate the timelessness of bullying behavior and the chilling reality of evil. Sharenow’s introduction of Max Schmeling will no doubt inspire readers to learn more about him and this dark time in history. Although Music Was It: Young Leonard Bernstein is a work of non-fiction, and The Berlin Boxing Club is historical fiction, both of these beautifully written books offer insights into historic people and settings, and will engage, entertain, and educate readers. 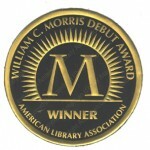 The committee also chose Honor books in the Older Reader and Teen categories. History is an important theme for the Sydney Taylor Book Awards this year. Lily Renee, Escape Artist: From Holocaust Survivor to Comic Book Pioneer by Trina Robbins with illustrations by Anne Timmons and Mo Oh (Graphic Universe, an imprint of Lerner Publishing Group, Inc.). Graphic novels are a unique way to present biographies and are a perfect medium to share the story of a comic book artist. Hammerin’ Hank Greenberg: Baseball Pioneer by Shelley Sommer (Calkins Creek, an imprint Boyds Mills Press) is an excellent biography, and another example of impeccable research of an important historical figure. Baseball fans will relish this wonderful biography. Irena’s Jars of Secrets by Marcia Vaughan with illustrations by Ron Mazellan (Lee & Low Books) is a picture book, but most appropriate for older readers. The story of Irena Sendler, a Polish woman worker who saved numerous children in the Holocaust at great risk to her own life, is beautifully written and paired with stunning illustrations. Her heroic story is important, and must not be forgotten. Then by Morris Gleitzman (Henry Holt and Company) is a heat wrenching story of Felix and Zelda, two youngsters who jumped off of the train headed to a concentration camp. They find safety in the home of a soldier’s wife, who takes them in as her own family. The violence and horror of the Holocaust are not minimized in this emotional novel. A masterful combination of innocence and evil. Then is the second book in a trilogy. The Blood Lie by Shirley Reva Vernick [a 2012 Best Books for Young Adults title –ed.] 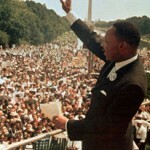 (Cinco Puntos Press) is based on true events that occurred in the author’s hometown. When a little girl goes missing, rumors stir and a Jewish teenager is accused of a horrible crime of blood libel. Chilling and scary; a perfect book for discussion in any classroom. 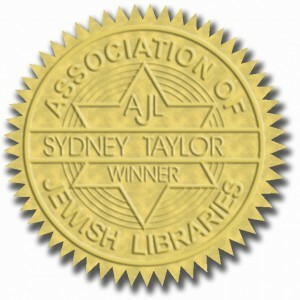 Visit the AJL website for a complete list of Sydney Taylor winners, honors, and notables. Thank you for sharing information about the Sydney Taylor Book Awards! Great article, Barbara! Looks like a diverse mix of important historical figures and award worthy titles! Great to see this on the YALSA blog, exposing more readers to the deserving winners of the Sydney Taylor Book Award! Sounds like a great assortment of books. I made notes of books to take home to my teens. I can’t wait to purchase these books for my library. What a wild year it must be reading all the contenders. I bow to you & the Sydney Taylor committee members. I’ve just read an Australian book that I’d love to see nominated for 2012. Suzy Zail’s ‘The Wrong Boy’, about a Jewish Hungarian girl who is also a talented pianist, and finds herself selected to play music for Auschwitz’s commandant. Brilliant novel, inspired by the true story of the author’s father, who was 13 when he was taken to Auschwitz. Wonderful list, I look forward to reading all those books! Thank you YALSA for highlighting these wonderful books and helping to bring more attention to this important award! 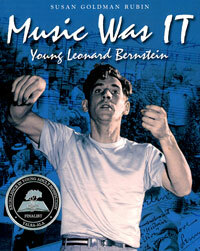 I am delighted to see the Leonard Bernstein bio win an award. Young people of today don’t know who he was and this is an important book and very appealing in format, length, and writing style.